You are only as strong as your weakest link. For many operators that link is catering delivery. How to handle catering deliveries ranks as one of the top questions posed. Let me start out by saying I am not in the legal, accounting or insurance advice business. Please consult your professionals. With that said, you can probably crank out an unlimited number of drop-off caterings each day. But can your delivery drivers keep up? If not, you will be leaving tons of catering profits on the table. Factor in the popularity of last minute orders, and you can buy a third world country with the extra catering profits. When I was building out my Nashville store, I called just about every delivery service in the yellow pages (think Google if you were born in the last twenty-five). Most delivery services don’t want to be held to a tight delivery window, nor deal with food. Luckily, Chuck Hargrove with Courtesy Courier was up for the challenge. He was a pleasure to deal with and hired some great drivers. They were school teachers on break, musicians, retirees and stay at home moms. We had such a great working relationship, that we considered his team part of ours. To insure checks from orders would come back to us the same day, we offered his drivers a sandwich and drink to bring us the check after their run. If you can find your own Courtesy Courier, that is a great way to go. You may even contract with a courier service to handle overflow. Another route to take is to have a long list of people ready, willing and able to make deliveries. Following Chuck’s model: school teachers on break, musicians, retirees and stay at home moms. There are a ton of people happy to make a few bucks plus the potential for a tip. If I were retired, I would relish the thought of making some beer money each day. The key is to have a long list of people you can call. Now as your catering grows, you may decide to invest in your own delivery driver(s). I wouldn’t hire one unless you are positive you can keep them busy on a regular basis. You may decide to use existing staff and send them out before your lunch rush hits hard. Again, you want access to as many people as possible. There were countless times I, a manager or key employee left the restaurant to make a delivery or deliver something left off an order. Which brings me to the second point. Nothing can be left off the order. I am a big believer in check lists and more checklists. We also added a very simple, yet effective bagging label system to our catering software. As you are boxing up an order, you place a shipping label (complete with the catering client’s info) on the box or bag. You write the contents on the label, then put the number 1 of ____ in the appropriate area. The second box gets 2 of ____ , the third box gets 3 of ___ and so on. After all boxes are filled, you then go back in and add the grand total to all labels: 1 of 3, 2 of 3 and 3 of 3. That way everyone from the manager to the driver knows how many boxes to leave with. It goes without saying that besides making sure nothing is left off an order, you must show up on time. For me early is on time. We work with our clients to offer an “On Time Or It’s Free” catering guarantee. By shooting to be at the client’s fifteen minutes early, you’ve built in buffer time for traffic and any other reasonable obstacles. Another tip we learned by making mistakes: carry back-up supplies in all delivery vehicles. This included bbq sauce squeeze bottles, serving utensils, plates, napkins, wet naps, cups and spoons. 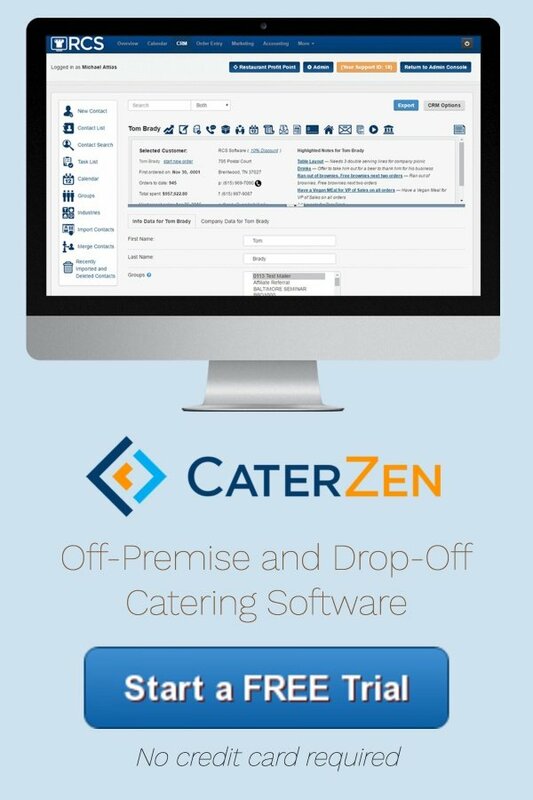 As this article is written, we at Restaurant Catering Systems are developing a Delivery Module. Right now, we have clients beta testing the routing map with great success. You pull up all of your orders for a day and assign them to routes. Each route is represented by a different colored line originating from your location to each point. There are reports you can pull up as well for the driver along with point to point directions, catering tickets and production reports. Our programmers have shown me the driver’s smart phone interface. Each driver logs into our software and selects a date. They see each route they are assigned to, along with each order on the respective route. From their smart phone they can see the ticket, get a checklist off all items to load and deliver and interface with a Google map for live directions. They will also be able to send a message to the catering client letting them know they are en route with picture of driver and cell phone contact info. The third version will allow you and your clients to see exactly where the driver is on a real time map. As we build this delivery module out, what features would you like to see? I had one client ask for the ability to get the ticket signed and a blank line to add a tip and total out the order. Please email me at Michael@RCSMailBox.com and let me know your ideas. Great ideas make for great software. 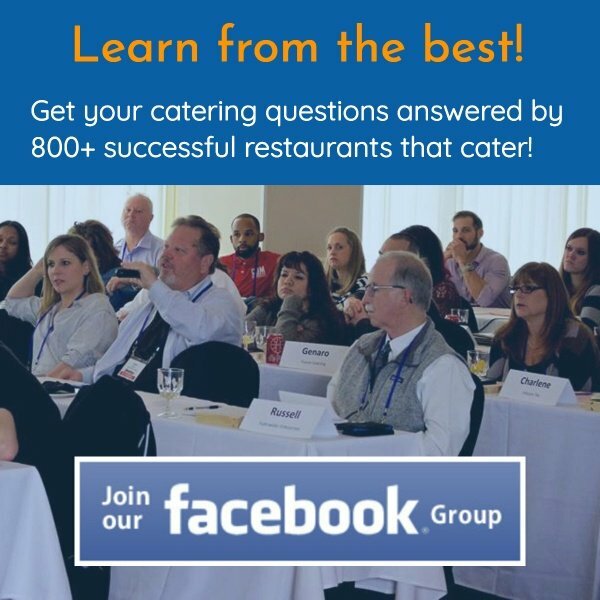 NOTE: To learn how you can build your catering profit center, please make plans to attend an upcoming seminar in Louisville, KY, on Monday, October 12, 2015.